Seasonal Produce Deities. | The Trove Rove. ← Homer Was Rarely Home. 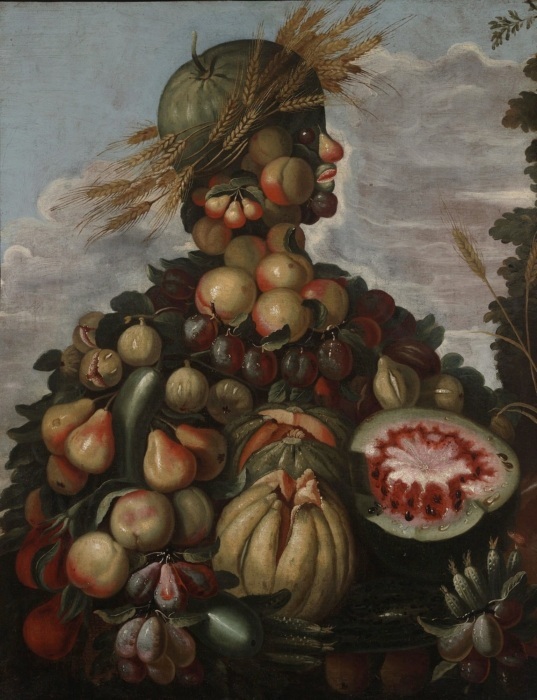 Harvest provides life, personified in the paintings below. 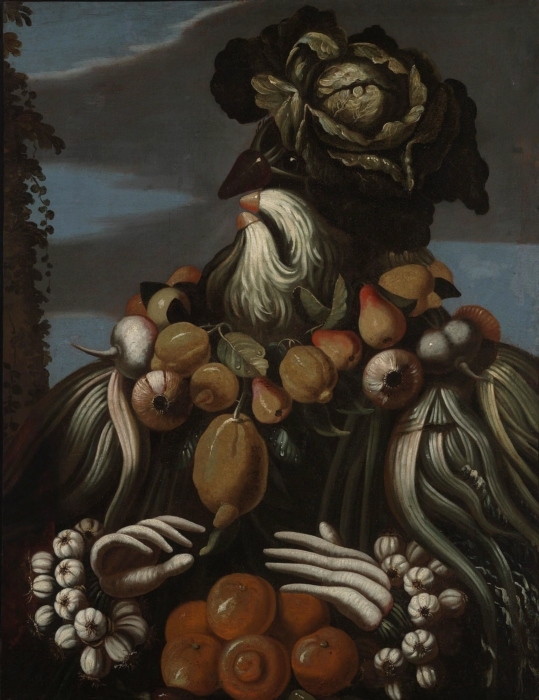 The artist, Giuseppe Arcimboldo, is renowned for painting a collection of objects formed together to create a portrait. 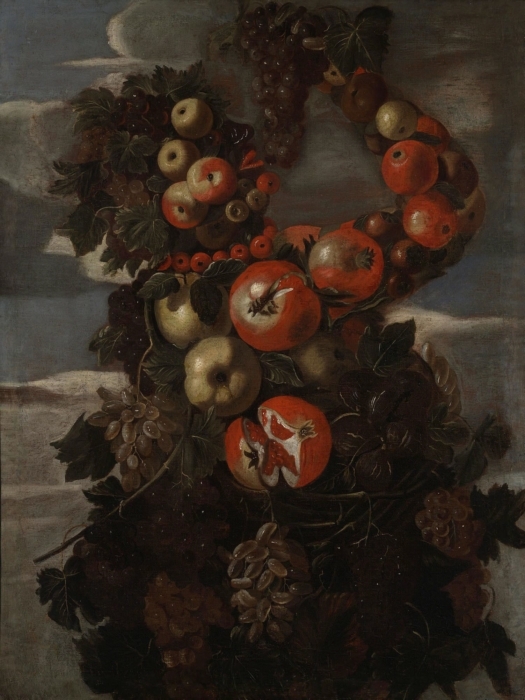 Fruit, vegetables, flowers, books, sea creatures, tree roots, and other objects are his subject’s composition. 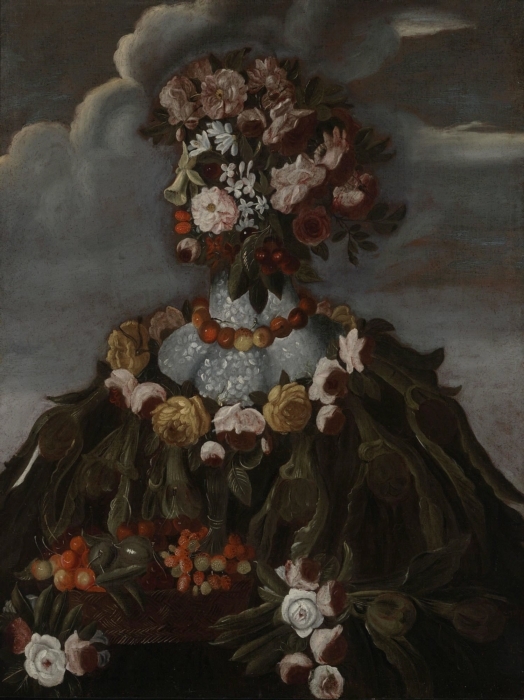 The collection featured here is the first series of Giuseppe’s “Four Seasons,” created in the mid 16th century. These images are courtesy of Yale University’s recently digitized vast collections held by its museums, libraries and archives. The goal of the project is to provide open access freely in the public domain to over 250,000 images and 1,500,000 records. Yale is the first Ivy League university to undertake such an effort, read more about the project here. Praise be to Autumn, the most bountiful god of them all. Praise also be to Yale’s Office of Digital Assets and Infrastructure, for providing plentiful fruit in every season.